Gloria always throws the best parties. And we’ve been to a few parties in our time. Having ‘the best legs in Soho’ and teaching ‘Bowie how to do his makeup’, Blame Gloria is the sister joint of the fabulous Tonight Josephine, and keeping with family tradition is just as outrageously fun. Descending the staircase under the long-legged lighting fixture, you’re met with the sound of upbeat pop music, sultry neon lighting and groups of friends sipping on colourful cocktails. 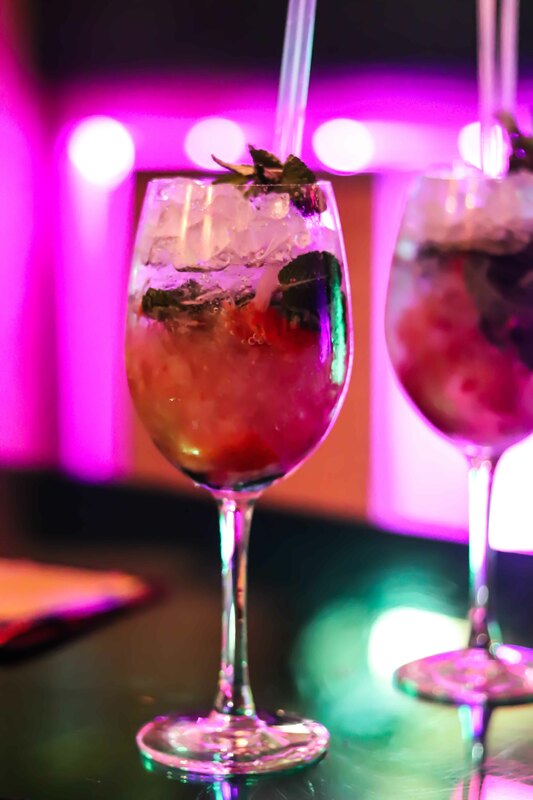 The menu covers everything from well-loved classics to ‘Gloria’s Pleasures’, a range of original in-house cocktails to tempt your taste buds. Though we’ve yet to try one we haven’t liked, our picks would be the Lemongrass Collins, wonderfully refreshing with Eristoff vodka, fresh lemon juice, Licor 43, ginger beer and vanilla (chilli can be added upon request to spice things up a little), or the spirit-forward Smoke on the Water, with Jack Daniel’s, Talisker 10YO, fresh lemon juice, egg white, orange marmalade and garnished with bacon. The decor is inspired by vintage glam; think bold prints, metallic trims and vibrant neon lighting. Bonus points for the arrangement of TVs and a live-streaming camera filming in the passageway between the main bar and the floral booths. You’ll have a hard time not taking a billion snaps for the ‘Gram. Pro tip: happy hour is between 4pm-7pm all week, where you can get two for one on all the fun cocktails on the menu. Why choose one when you can have both? Previous articleAdelaide Laneway Has Almost Landed!